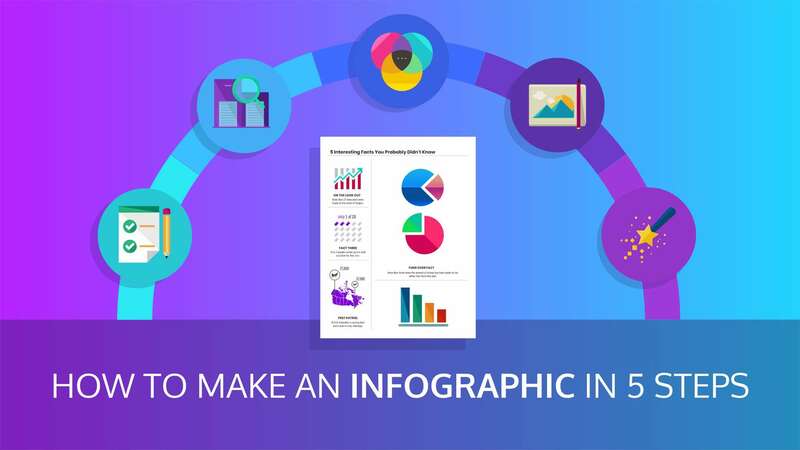 Although infographics have evolved into a very popular and standard method of communicating information, they’re still done haphazardly. All too often, an infographic’s execution of content, design, or distribution misses the mark. The problem is that these errors don’t necessarily seem big, but what they ultimately cost a brand can be. By being careless or short-sighted, all the work that goes into an infographic design can still return disappointing results. But there are easy changes to make. In my book Cool Infographics: Effective Communication with Data Visualization and Design, I outline several infographic best practices. While there are certainly more than five traits of a great infographic, these are among the most important. With each infographic design project, there needs to be a key message that’s clear and apparent—both to the audience and those behind the scenes. There should never be several interpretations or ideas about the main point that is being communicated. If an infographic’s creators agree on a succinct, coherent message, then readers should have no problem seeing that message right off the bat. My rule of thumb is that the design should clearly communicate the key message in less than five seconds. That way, an infographic can present readers with its most important takeaway, even if they’re skimming and don’t take the time to read it in its entirety. 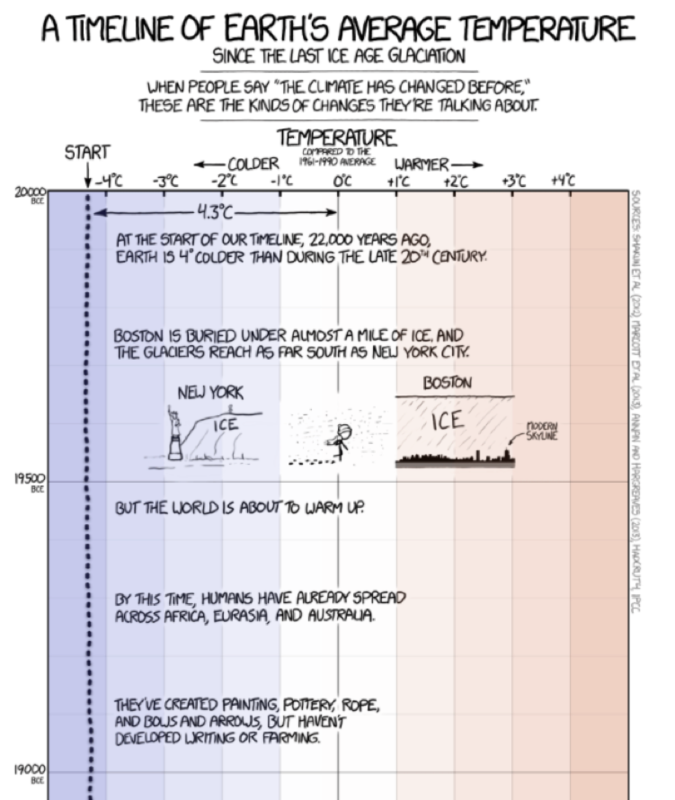 For instance, not only is this infographic from xkcd about Earth’s rising temperature fun, but it’s direct and easy to understand. It delivers exactly what the title promises (“A Timeline of Earth’s Average Temperature”) and it accomplishes this, whether the reader goes through it in detail or scrolls right to the bottom. 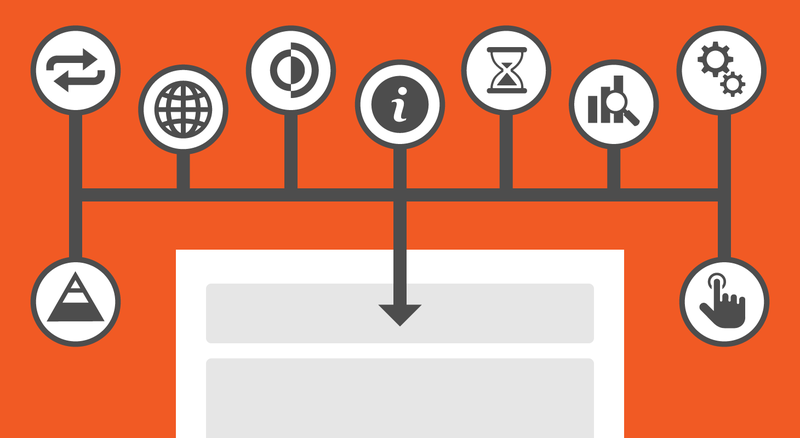 The infographic’s takeaway is obvious, no matter how much time the reader spends on it. 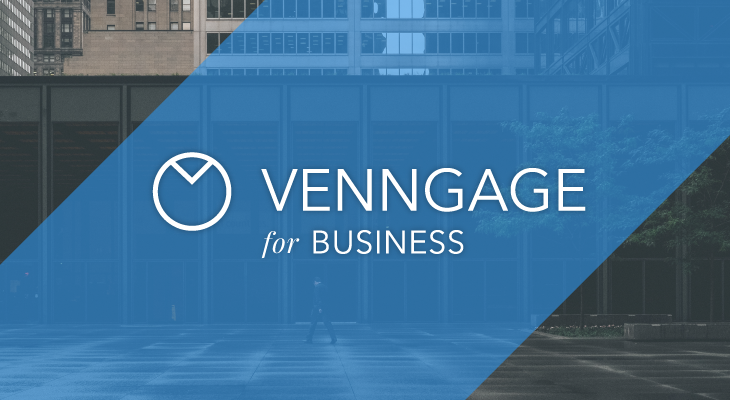 Explore Venngage’s Timeline Infographic templates here. While putting a big brand logo front and center can sometimes deter readers, it’s important to ensure that it’s on there somewhere. Without a brand logo, readers are left to wonder where the infographic came from and any opportunity for creating links or building brand equity disappear. Still, you’d be surprised how many infographics are passed around without any sense of source or creator. 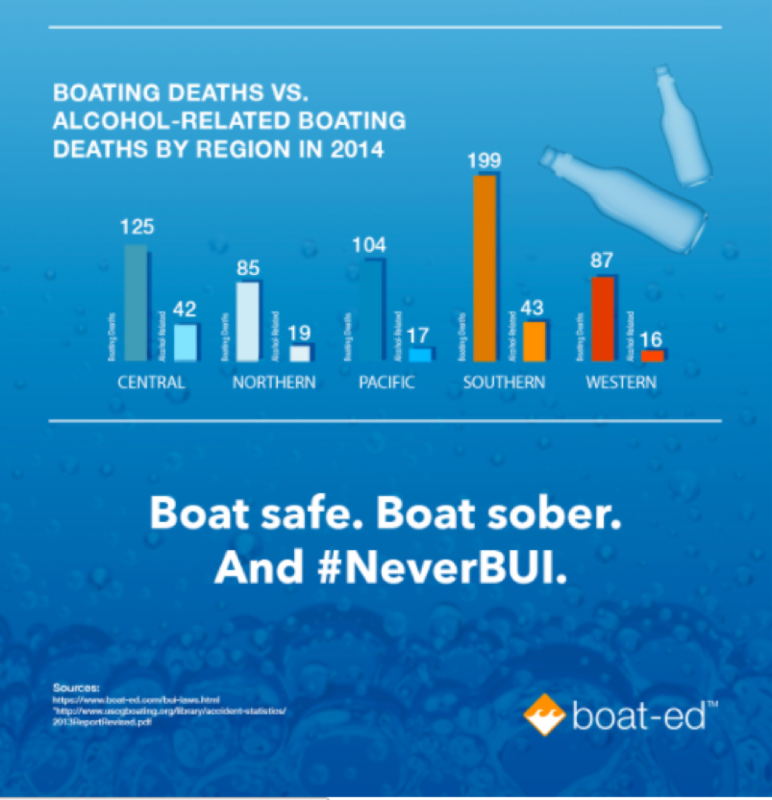 For instance, you see Boat Ed’s logo clear and prominent at the end of their infographic about the dangers of boating under the influence. The logo also doesn’t seem out of place, as the infographic’s color palette is reflective of the brand. 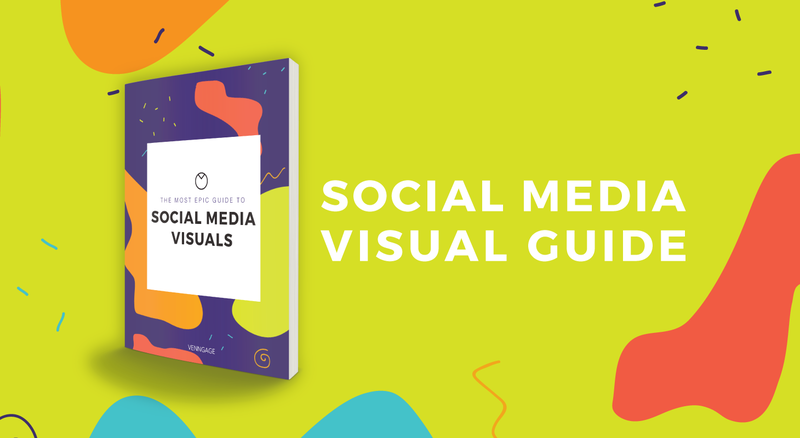 An infographic’s inherent value and appeal is that its content is either new information or existing information with a new twist—and that it looks great. This primary concept, thought, fact, or data set is your main event and should be the dominant visual portion of the infographic. This will often be a large illustration or data visualization to trigger the Picture Superiority Effect with readers. You want to be fairly confident that if the reader only retains one thing from the infographic, it will assuredly be this big point. It’s up to your designer to make that unavoidable. 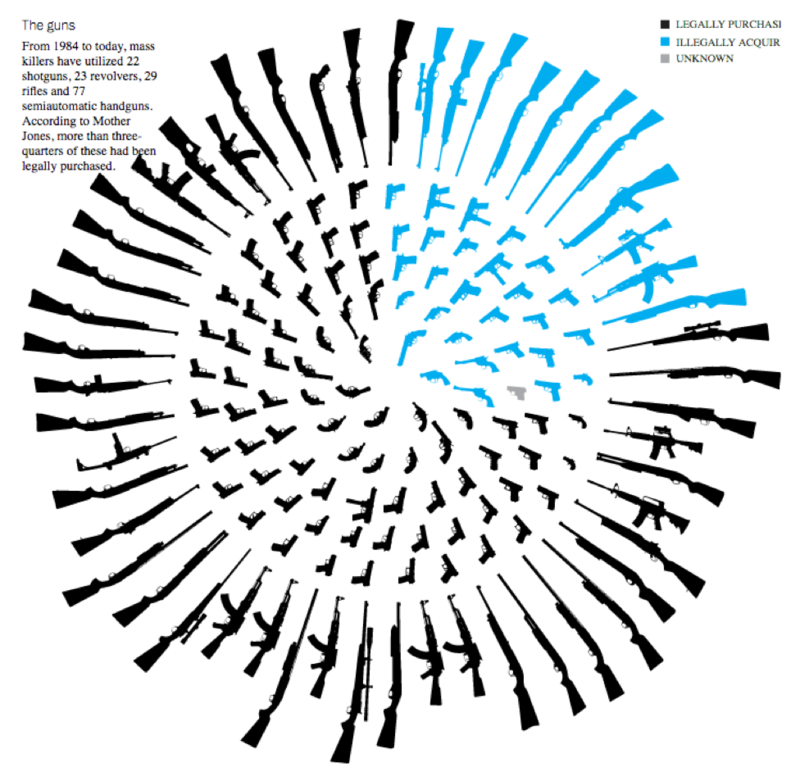 A good example of this is The Washington Post’s infographic about mass shootings. Here, you’re not only greeted with a bold visualization of data, but it’s one that stirs an immediate response in the reader. There’s no potential for wandering when the focal point is so obvious and attention-grabbing. Infographics require a sense of closure, something that summarizes what readers have learned or what they can do with this new information. An infographic’s conclusion needn’t be a wordy or abstract wrap-up; a few simple sentences will typically suffice. But don’t leave the readers hanging. Infographics have the power to spring a reader into action. What that action may be is up to the purpose of the infographic. Actions for the readers could be buying a product, signing a petition, eating healthier, downloading an ebook, or simply visiting a website. Just a small bit of copy (e.g. 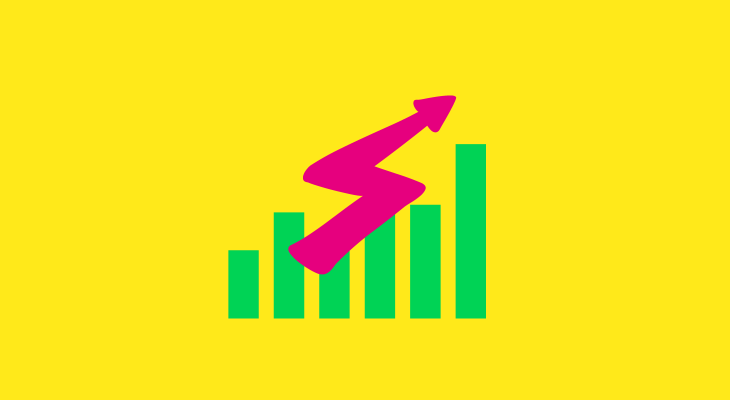 “Learn more at coolinfographics.com”) can encourage a reader to go further with its recently acquired knowledge. Impactful narratives are especially ripe for pointing the reader in the right direction upon conclusion. Joe Chernov and Ripetungi (Robin Richards) do an excellent job with this in their notable anti-finning infographic. 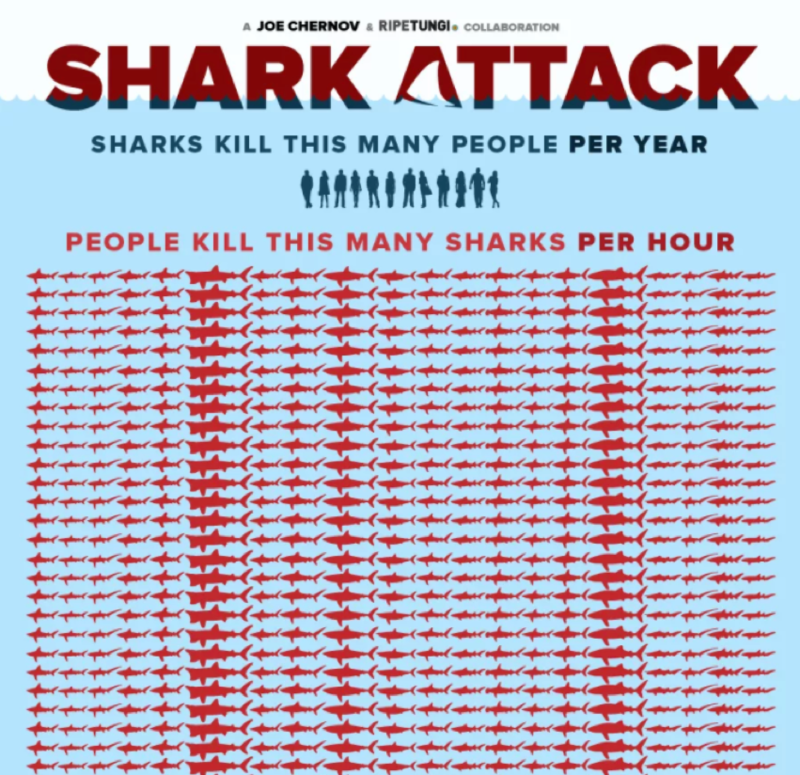 After a simple yet wholly powerful visual about the unjustified and cruel treatment of sharks, their infographic closes with sites for the reader to visit. It’s a solid one-two punch to present such an emotionally compelling visual and then guide the reader to the organizations that are making a difference. Search engines look at more than many people assume, even looking at the name of an infographic’s image file. Indeed, there’s value in properly naming files that may be considered behind-the-scenes uploads. But the truth is that you can’t afford to miss an easy opportunity to link your keywords to the infographic. If you leave your image file as a methodical ordering of numbers, such as IMG1234567.jpg, search engines will ignore it. Instead, use the main words from the title tag as the filename with hyphens as word separators (e.g. “SEO-Strategies-Experts-Infographic.JPG”). Don’t use underscore characters, however, as Google considers those to be word joiners. Such is the case of this infographic from Samuel Windsor. 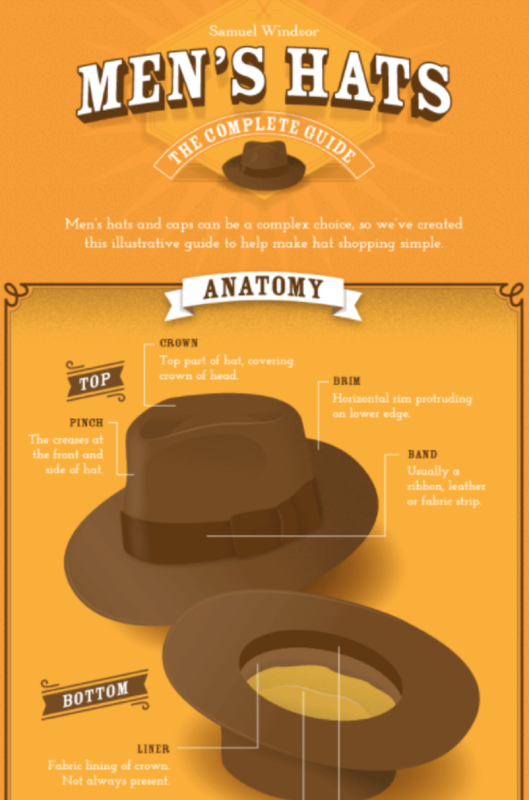 If you go to save the asset, you’ll discover that the image filename is “Samuel-Windsor-mens-hat-infographic.jpg” It’s succinct as well as effective for search results. In addition to analyzing data and crafting a story, you need to plan for a successful infographic launch, and these are easy steps often overlooked by designers. An infographic with a clear key message, a visual center of attention, a call-to-action for readers, your brand logo and a filename with words that Google can index is your recipe for success. 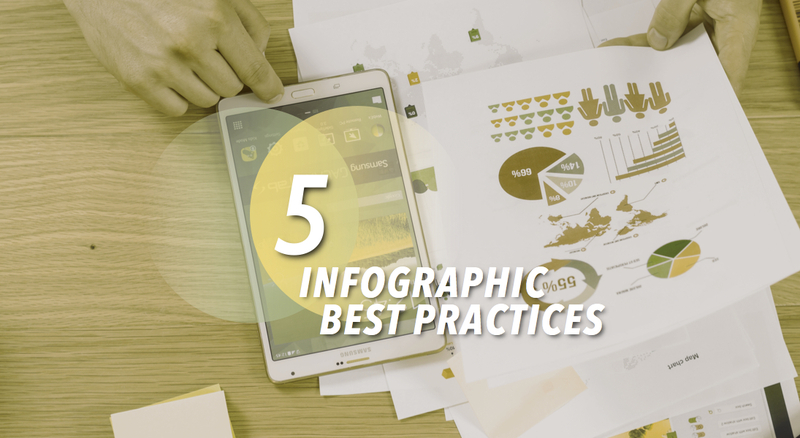 By adding these five infographic best practices to your design process, you should be able to deliver an infographic that resonates with the audience, builds your brand equity, and makes the rounds on social media. Randy Krum (@rtkrum) is author of the book Cool Infographics: Effective Communication with Data Visualization and Design, runs the website Cool Infographics, teaches Data Visualization and Infographics Design at Southern Methodist University, and is the Founder of the infographics and data visualization design firm InfoNewt.